Absolute Powerpop: A Kool way to start the week. 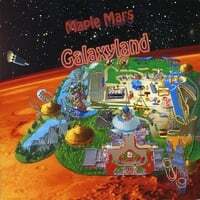 Maple Mars-Galaxyland. Maple Mars follows up their outstanding 2007 release Beautiful Mess with Galaxyland, a loose concept album about a theme park orbiting the moon. It's kind of fitting since their music has always had a space-age pop element, drawing from Klaatu and ELO as well as the Beatles and Badfinger. There's plenty to like here: "The Excursion" is top-drawer psych pop, "Big Imagination" channels the laid-back 70s SoCal sound, "Transcendental Guidance" is another of those tracks that sounds like its title, and the string-laden "When Bridges Fall" recalls Cloud Eleven. A real highlight is the resurrection of "New Day", a minor early 70s hit for Mark Radice. The CD comes in a gatefold sleeve not unlike a 70s album, and Kool Kat (the store) is offering up an exclusive bonus disc titled Extra Orbits with five bonus tracks. The whole thing is groovy. 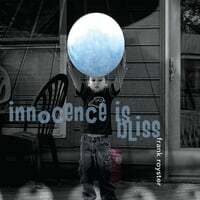 Frank Royster-Innocence is Bliss. Also following up a fine 2007 release on Kool Kat, ex-Fire Ape Frank Royster is a bit more earthbound in his sound than Maple Mars and his sophomore solo effort Innocence is Bliss is more of the same old school power pop that made his debut a fun listen. Jamie Hoover produced, and fans of the Spongetones will want to give this a listen, as well as those who enjoy the likes of Marshall Crenshaw and Pat DiNizio (solo and with The Smithereens). "Mr. Wonderful" is a killer opener, a jangly number that could have been a hit in the 60s or 70s; "Life's a Bore" is straight from the more rock-oriented sound of the British Invasion; the country-tinged "Can't Make You Smile" is primo roots rock, and "Brena You" is the piano-based McCartney of "Lady Madonna", "Nineteen Hundred and Eight-Five" and "Flaming Pie". Speaking of McCartney (which happens to be the name of his young son, who shows up at the end with in "Looking for a Twinkle"), Royster covers the underrated Beatles classic "Every Little Thing", a personal favorite. As with the Maple Mars, Kool Kat has an exclusive bonus disc for this one too, a real deal.